Leonie Callaway MBBS (Hons I) FRACP PhD GCELead holds a conjoint position as Head, Royal Brisbane Clinical School, and Senior Specialist in Obstetric and Internal Medicine at the Royal Brisbane and Women's Hospital. Leonie's work as an Obstetric Physician involves working in a team to provide care for women who have medical problems prior to, during or after pregnancy. Common clinical conditions include gestational diabetes, hypertensive disorders of pregnancy and thromboembolism. Leonie has a particular interest in very high risk pregnancy, including pregnancies associated with obesity, cystic fibrosis, pulmonary hypertension, systemic lupus eryethematosis and liver disease. Leonie completed her PhD in the area of obesity and hypertensive disorders of pregnancy. 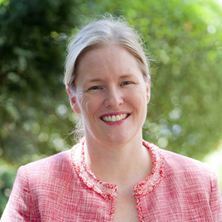 Her ongoing research interests include obesity and inflammation in pregnancy, the role of the maternal metabolism on fetal programming and neonatal body composition, lifestyle interventions in pregnancy, the role of pregnancy in unmasking the risks of future chronic disease and probiotics for the prevention of gestational diabetes mellitus. With her research team and collaborators, Leonie has been awarded in excess of 5 million dollars in research funding. Leonie currently supervises a number of PhD scholars, and has supervised several students to successful completion. Many of her PhD scholars have been awarded prestigious National Health and Medical Research Council postgraduate scholarships. Leonie is proud of the fact the PhD scholars in her research team have an outstanding track record of publications, grant funding, prizes and awards and timely completion, all while recognizing the importance of commitments to family and personal life. Leonie is currently President Elect for the Australasian Diabetes in Pregnancy Society, Deputy Chair of the Queensland Maternal and Perinatal Quality Council, and Co-Chair of the Queensland Clinician Scientists Association. She has an active interest in guideline development to support translation of research into clinical practice. Leonie has had an interest in medical education both at the undergraduate and postgraduate level. She previously chaired a number of national education committees for the Royal Australasian College of Physicians. Leonie was the lead author for the current curriculum for basic physician training. Several years ago, Leonie led an effort to completely revamp the year one clinical coaching program. This program remains one of the highest rated within the School of Medicine. For this work, Leonie and her colleagues were recognised with a UQ Award for the Enhancement of Student Learning in 2008. Journal Article: Response to correspondence regarding article: "A review of blood pressure measurement in obese pregnant women"
Antibiotics in pregnancy: unintended effects on the microbiome, maternal metabolism and infant body composition? Aland, R. C., Babri, S., Bennett, S., Colbrook, P., Callaway, L. K., Fitzgerald, J. R., Forbes, K., Hutchinson, A., Kippers, V., Knaggs, R., Landmann, J., Lewis, A., McGill, J., McPhee, B., Mitchell, C., Moore, D., Ozolins, I., Rego, P., Schafer, J., Spooner, A., Thornton, E., Turner, J., Walker, P., WIlkinson, D. and Wood, W. School of Medicine clinical skills program handbook. Brisbane, Qld, Australia: School of Medicine, The University of Queensland, 2008. Response to correspondence regarding article: "A review of blood pressure measurement in obese pregnant women"
Probiotics: a potential role in the prevention of gestational diabetes? Termination of pregnancy for maternal medical indications: Failings in delivery of contraceptive advice? Folic acid supplementation and spontaneous preterm birth: adding grist to the mill? Callaway, LK and Bennett, CJ (2002) Adolescent Kawasaki disease with uveitis (vol 32, pg 421, 2002). Internal Medicine Journal, 32 9-10: 498-498. Kilgour, Catherine, Bogossian, Fiona and Callaway, Leonie (2014). Postnatal follow up of women who have gestational diabetes mellitus (GDM): communication between mothers, hospital maternity clinicians and general practitioners. In: ICM Prague 2014: 30th Triennial Congress of the International Confederation of Midwives, Prague, Czech Republic, (). 1-5 June, 2014. Kilgour, Catherine M., Bogossian, Fiona, Gallois, Cindy, Jackson, Claire and Callaway, Leonie K. (2013). Post-delivery screening of women following gestational diabetes mellitus (GDM): communication between mothers, hospital and general practice. In: Breastfeeding and Obesity: Implementing changes from new guidelines. Australasian Diabetes in Pregnancy Society (ADIPS) Annual Scientific Meeting 2013, Sydney, NSW, Australia, (). 30-31 August, 2013. Kilgour, Catherine, Bogossian, Fiona, Callaway, Leonie, Gallois, Cindy and Jackson, Claire (2012). Impact of communication between secondary and primary health care settings: Maternal follow up of pregnancies complicated by diabetes mellitus. In: International Primary Health Care Reform Conference, Brisbane, Australia, (). 6-7 March 2012. Maternity care following birth: Communication between primary and secondary health care settings for women who have a pregnancy complicated by gestational diabetes mellitus (GDM). A role of the patient controlled electronic health record? Kilgour, Catherine, Bogossian, Fiona, Callaway, Leonie, Gallois, Cindy and Jackson, Claire (2012). Maternity care following birth: Communication between primary and secondary health care settings for women who have a pregnancy complicated by gestational diabetes mellitus (GDM). A role of the patient controlled electronic health record?. In: 17th Annual Congress of the Federation of Asian and Oceania Perinatal Societies (FOPS) and the 16th Annual Congress of the Perinatal Society of Australia and New Zealand (PSANZ), Sydney, Australia, (). 18 - 21 March 2012. Callaway, Leonie Kaye. (2007). Obesity and hypertensive disorders of pregnancy : associations with immediate pregnancy outcomes and long term maternal health PhD Thesis, School of Medicine, University of Queensland. Is the resistome in the gut microbiome in pregnant women changing pregnancy outcomes? The gut microbiome: A secret ingredient in the development of gestational diabetes? Complement C5a Receptors , Placental Inflammation and Reproductive Impairment. Exercise as a prescription: Can we prevent adverse outcomes for at risk mothers and babies? The prevalence of post-traumatic stress disorder symptoms in parents of infants in the neonatal intensive care unit. Periconception weight loss: what are the effects on the HPA axis in the infant? The gut microbiome in overweight and obese pregnant women.